Taken at Four Mile Beach in Santa Cruz, California, on January 30, 2012. When I took this photo back in 2012 and shared it on flickr, my original caption read: “it seems to me that the days are simply flying by lately. I wake up, then before I know it it’s time to go to bed again. What the heck, where does the time go?” And now, looking back over six years later the sentiment rings doubly true. Where indeed does the time go? 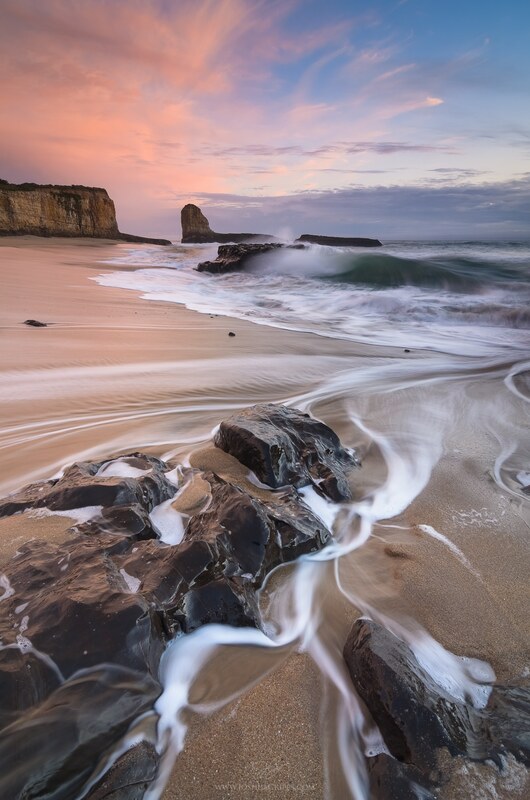 I spent FOUR YEARS living in Santa Cruz exploring the coastline and taking photo after photo of crashing waves. Four years seems like a long time, and in truth those years entailed hundreds of nights spent at the ocean, but looking back I realize I’ve already been gone from Santa Cruz longer than I ever lived there. And then I think about all the adventures I’ve had since then, all the places I’ve been and the people I’ve met, and those moments too have just flown by. In the end you can only have one takeaway from a reflection like this: life is short and goes by too quickly. So take advantage of all the moments you can to spend time building beautiful memories in places that make you happy with people you care about. See more beautiful California Coast photos here. Cheers to that! Every year a little more fun. Be well!